Start your career on the right path to success! Electronic Tech can be the difference to your career! Come work where professionals work, where experience and technical knowledge is abundant. If you are highly motivated, reliable, and tolerant to challenges, then we encourage you to join us in our drive to excel in customer service and dependability. We are always accepting applications for skilled technicians with experiences in repairing industrial electronics. Perform equipment troubleshooting to determine repair needs and parts of items relating to AC/DC drives, power supplies, and printed circuit boards. Perform repair or rework of electronic components and/or damages in a timely manner. Perform testing of repaired items for operational reliability. Knowledge of electronic principles and concepts. Knowledge of safety rules and regulations concerning electronic equipment. 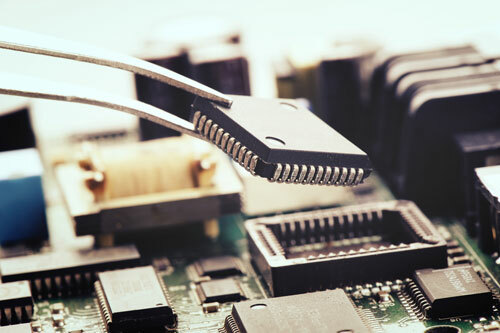 Knowledge of basic electronic components, including: Resister, Caps, Transistors, Diodes, Mosfets, Analog ICs (Op-amps), Digital ICs (Gates, Ram, Rom, Microprocessors). Ability to troubleshoot with or without schematics. Ability to follow oral and written policies, procedures, and instructions. Ability to learn new ways of troubleshooting methods faster. Ability to research new equipment repairs. Ability to read basic schematics. Ability to solder and de-solder. Ability to operate and understand: Multimeter, Oscilloscope, Frequency counter, Voltage Current (VI) curve tracer, Power supply. Ability to repair Linear Power Supply, Switch Mode Power Supply, AC/DC Drives , and Servo Drives. Must have excellent time and priority management skills. Must have excellent communication and development skills.